Understanding and recognising failure mechanisms in concrete is a fundamental pre-requisite to determining the type of repair, or whether a repair is feasible. This title provides a review of concrete deterioration and damage, as well as looking at the problem of defects in concrete. It also discusses condition assessment and repair techniques. 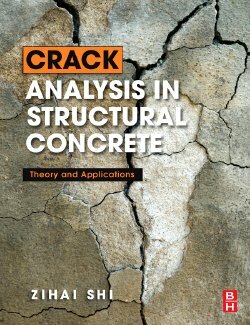 This new book on the fracture mechanics of concrete focuses on the latest developments in computational theories, and how to apply those theories to solve real engineering problems. Zihai Shi uses his extensive research experience to present detailed examination of multiple-crack analysis and mixed-mode fracture.